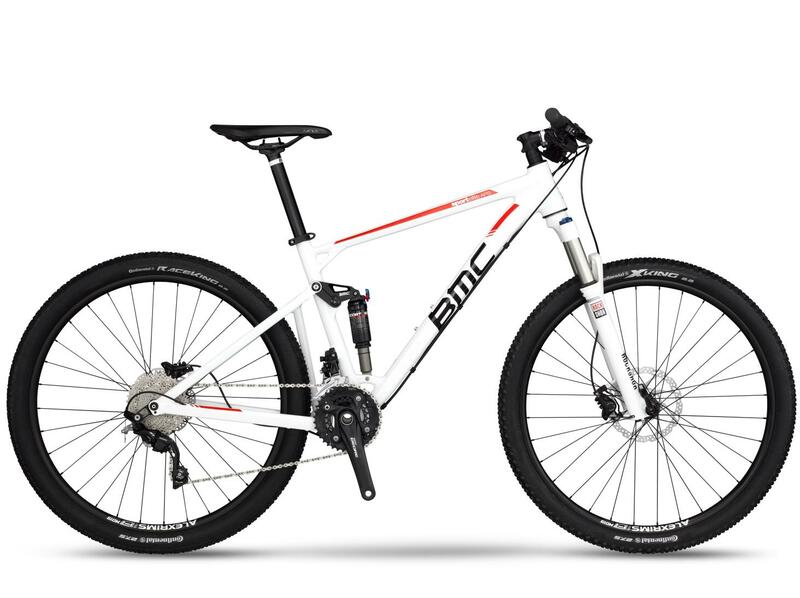 BMC is the latest brand to unveil its 2016 range. With new frames, new colour schemes and a new attitude, could this be the year that it finally wins them the British hearts? BMC? Aren’t they a bit boring? Traditionally, unfortunately so. Its core values are “Swiss. Premium. Performance”, hardly words that fill you with anticipation to get out and shred if we’re being honest. It doesn’t necessarily make bad bikes though. In fact, its cross country team features the legendary Julien Absalon, who is still winning World Cups on its machines to this day. 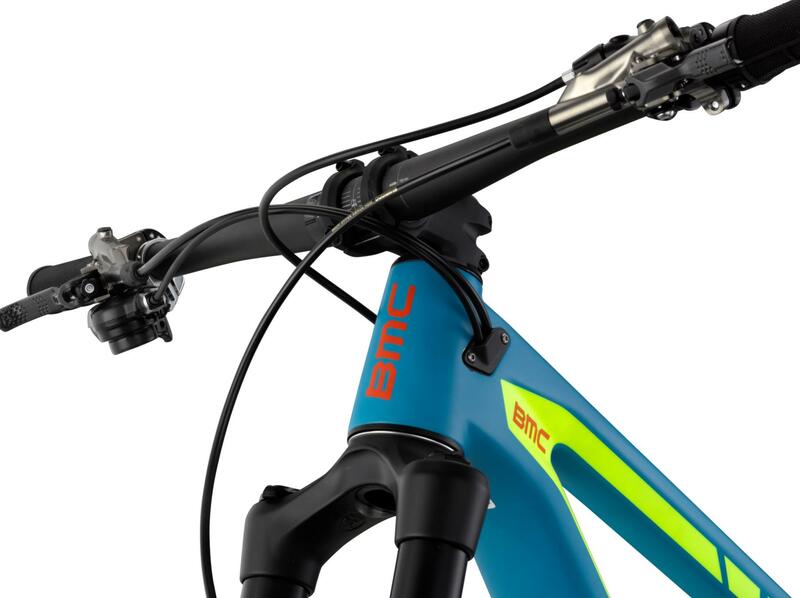 BMC has had an epiphany though and this year is hoping to inject some fun into its trail and enduro ranges. So what counts as fun for the Swiss then? The biggest addition is BMC’s first ever 650b bike in the form of the Speedfox Trailcrew. BMC launched he Speedfox range last year as its first tentative stopes into the world of trail bikes. The Trailcrew models should allow it to stride more confidently in future. The Trailcrew has 20mm of additional travel over the rest of the Speedfox range, bringing it up to 150mm. This also cuts two degrees off the head angle and adds about 20mm to the front centre, making for radically different geometry. The spec is also much more boutique than on the standard Speedfox models. The Trailcrew 02 comes with SRAM X01 and a Cane Creek DB Air Inline and the Trailcrew 03 comes with a mix of SLX and XT and a Float shock. Both bikes come with Pike forks. We envision this bike shredding bike parks as a play bike, rather than being a full-on trail muncher, but it’s definitely a step in a new direction for BMC. The enduro focussed Trailfox range has had an update as well. Gone are the predominantly black colour schemes and instead BMC has chosen to be down-with-the-kids in flourescent oranges, blues and greens. BMC has also made some serious improvements to the range as well though. When we reviewed the Trailfox last year, we had one bugbear – the suspension. We loved the sorted frame and could get along with the 29er wheels, but the suspension left the Trailfox dead in the water against better specced competition. This year all the models have a Cane Creek DB Inline Air shock and a Pike fork. This should provide a potent combination that finally matches the frame. The range has also been cut down to only three models making it far easier to understand. 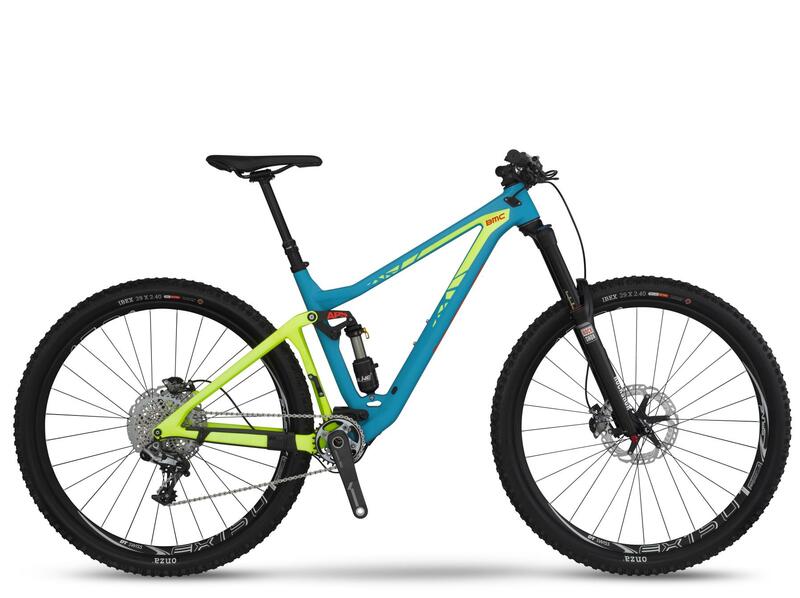 The top spec Trailfox 01 is a carbon frame with XX1 groupset. The Trailfox 02 and 03 are both aluminium and come with X01 and X1 respectively. Where’s the next stop on the fun train? BMC has paid more attention to its entry range bikes this year as well, which is always great to see. Again we thought this was needed, when we reviewed the £950 Team Elite in out Hardtail of the Year test, we found it overweight and confidence sapping – we gave it a 5. The Sport Elite range has had the biggest overhaul. 650b wheels have been added to all the hardtails and the frames come in a wider range of sizes. There has also been a number of spec changes across the board. There is also an entry level full suss, the Sport Elite AP, that uses the same suspension design as BMC’s elite racing bikes. Pricing and availability to follow.